Providing you the best range of compressed air filter and catalyst filtration recovery systems with effective & timely delivery. 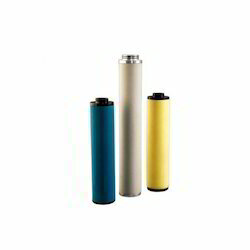 Known in the industry as a prominent manufacturer and supplier, we are engaged in offering Compressed Air Filter. Unfiltered compressed air frequently contains dust, oil, rust and moisture and harmful substances and hence requires filtration. In the first stage of filtration, the compressed air passes through a tube-shaped mesh filter, which creates a coalescence effect. In the second filtration stage, the air is passed through fiber made of cotton, generating thousands of small vortices and accelerating the air. Unfiltered compressed air enters in to filtration systems with positive pressure & passes through selective filter media to remove dirt, dust, and moisture & oil contaminants. Clients can avail from us Catalyst Filtration Recovery Systems, as we are a leading manufacturer and supplier of various types of catalyst recovery systems. The process operations involving catalysts have traditionally used leaf filters for catalyst recovery utilizing modern filter technology. These porous metal filters reduce exposure of the operator to process materials and eliminate disposal costs for spent filtration media. 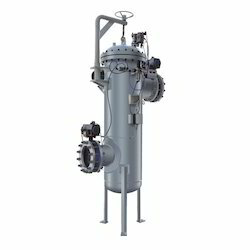 Catalyst recovery systems are constructed of filter housings, the special type of filter elements, back purging mechanism, Control panels & other instrumentation. Catalyst recovery systems can be offered in various materials like SS-304, SS-316, SS-316L, Duplex material, carbon steel and alloy metal. Filter elements can be offered with Stainless steel wire mesh, Sintered metal powder, Random fiber / Sintered metal fiber & multi-layered wire mesh. Filter elements are selected based on its applications demands. Customers can use pneumatically or electrically operated butterfly valve or ball valve as per their process requirement. Contaminated fluid enters through Inlet Connection. It passes through the filter element where filtration takes place from outside to inside direction. Contaminants of stipulated micron size will capture on the outer surface of the filter element and clean fluid will pass through the inner core of filter element and comes out at Outlet Connection. After a certain time of operation, suspended particles along with catalyst will deposit on the outer surface of the filter element which results into gradual increase in pressure drop. Once system senses its preset differential pressure it gives the signal to control panel through a pressure switch. Further drain valve and back purging mechanism get into operation and the process of cleaning the filter element starts. Depending upon application demand for back purging medium like compressed air, nitrogen, gas, solvents and steam can be used. After completion of cleaning cycle fine particles of catalyst are collected through bottom drain valve or it is directly discharged to a reaction vessel for next cycle of operation. Looking for Compressed Air Filtrations ?